Here at Grimmster, out motto is Design, Build, Technology. So, as you can guess we like to keep up with the most current technology and what’s going on in the tech world. Some of the most innovative technology today is coming from the world of video games. The current console wars are proof of that. Each company is trying to prove that they have the better system, the better graphics, the more bang for your buck, but it’s hard to side with either company until an actual product and the games that come with it are tested. 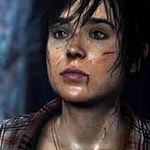 Beyond: Two Souls, a PlayStation 3 exclusive, is the latest game to come out of the Quantic Dream studio. Not only does the game show off just what is capable on the current PlayStation 3 system, but it gives us a glimpse of what is to come in the very near future. 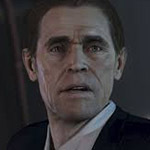 In the past few years, voice acting has become a staple in popular games such as Mass Effect and Uncharted, but Beyond: Two Souls takes this to a whole new level. 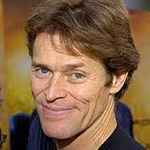 Not only do actors Ellen Page and Willem Dafoe voice the games main characters Jodie and Nathan, but the characters in game actually look like their voice actor counter parts. The transition between the actual game characters and the actual actors who voice them are flawless. I’ve played video games for many years and this is the first time that I was actually blown away by in game characters. Not only do the current versions of characters Jodie and Nathan look like their voice actor counter parts, but the younger Jodie and Nathan also match up. 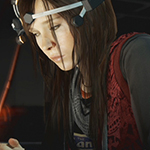 Quantic Dream used some pretty state of the art technology to create the characters for their lastest game.Take a look at the video below to see just how the characters of Beyond: Two Souls were created. 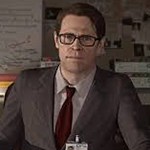 Not only did Quantic Dream use state of the art technlogy to create their characaters, but they also used some pretty state of the art technology to create the whole visual arts of their game. 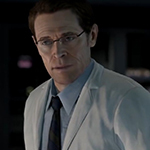 The entire game is done with motion capture technology. 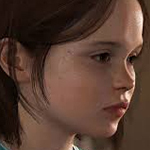 Take a look at the video below to see how Quantic Dream created the whole game. Technological advances like this used for video games makes you wonder what else advances like this can be used for. The possibilities seem almost endless.